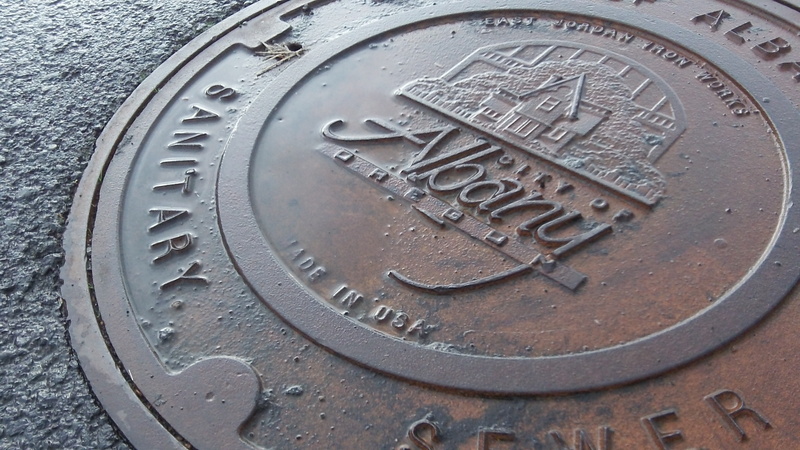 Eight years ago my attention was called to the country of origin of many of the manhole covers in Albany streets, which happened to be India. A story appeared in the Democrat-Herald on Oct. 1, 2005, and I’m glad to say that an update is in order. In 2005, the story was that India was supplying manhole covers for many American utilities and cities because, according to one online report at the time, they charged less than domestic makers. On Sunday, though, I happened to glance down on a bike ride through a new North Albany neighborhood. An ornate manhole cover caught my eye. HASSO, I AM ENJOYING YOUR WEBSITE SINCE WE LEARNED OF IT IN TALKING WITH YOU AT THE TWO RIVERS MEXICAN RESTAURANT. I DON’T ALWAYS AGREE WITH YOU, BUT YOU CAN ALWAYS BE COUNTED ON TO EITHER GET THE BRAIN WORKING OR THE BLOOD PRESSURE UP! BTW, DO YOU KNOW WHY MANHOLE COVERS ARE ROUND?